Simon Coleman is Chancellor Jackman Professor at the Department for the Study of Religion, University of Toronto. His publications include Pilgrimage Past and Present in the World Religions (Harvard, 1995, with John Elsner), Pilgrim Voices: Authorship and Narrative in Christian Pilgrimage (Berghahn, 2003, edited with John Elsner) and “Guiding the Pilgrim” (Special Issue of Tourist Studies, 2015, edited with John Eade and Evgenia Mesaritou). John Eade is Professor of Sociology and Anthropology at the University of Roehampton, and Research Fellow at the Department for the Study of Religion, University of Toronto. 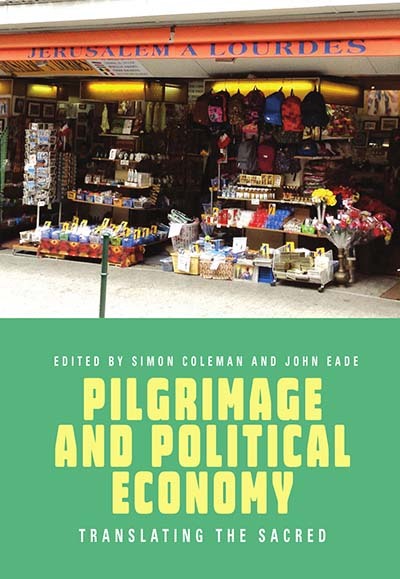 His publications include Contesting the Sacred: The Anthropology of Christian Pilgrimage (Routledge, 1991, edited with M. Sallnow) and Reframing Pilgrimage (Routledge, 2004, edited with Simon Coleman).